My name is Eve. I am currently studying for my GCSE’s at school. In my spare time I enjoy baking and I am also a young leader at a Brownie Pack where I am involved with young children. 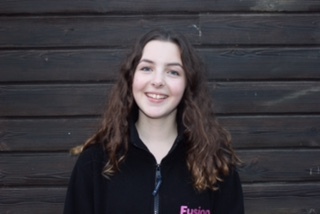 I enjoy interacting with the children and helping them to develop .The staff, and children included at Fusion are so bubbly and enthusiastic which makes it such an enjoyable atmosphere to be in.